Apparently my addiction to coat patterns is legendary - you know it is bad when other sewing bloggers have to inform you that a new magazine is out and that you really need to take a look at it. Oh yes, bad indeed. In any case, the new My Image magazine is out - you can flip through the entire My Image Fall/Winter 2012-13 here. The cover image should be a pretty good indication of my latest pattern of covet. So... I ordered one. I have made one My Image pattern so far, and have actually received unsolicited compliments on it, love the fit, and wear it often. 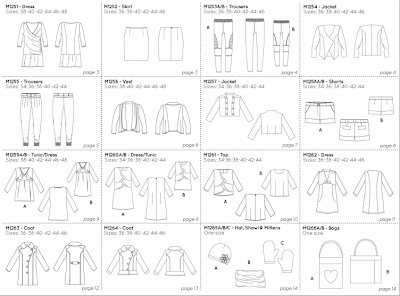 So at least I know I already approve of the My Image drafting and fit (oh, and they are way easier to trace than Burda). I considered a subscription, but since I usually only really find patterns I want in the fall/winter issues (beautiful coats, every year!) I decided to just order a single copy. Since I just renewed my Burda subscription I figure I can wait until the Spring/Summer issue comes out next year - if I am impressed I will start a subscription then (and keep the payments a bit farther apart), and if not then I didn't waste my money on patterns I won't use. So, My Image - have you tried it? Do you like it? Do you want to try it? Does anything in this issue capture your fancy? How terribly bad is my addiction to coat patterns? Discuss! I've tried it and I also love it!! I also bought all previous edition for a "few dimes". Newsflash - New Butterick Patterns Announced! What Do Barbie And I Have In Common? Burda News: A Return to Reader Designs? FIDM.....FIDM DEBUT 2019: Meet and Greet Photos at the FIDM DEBUT VIP Tent! 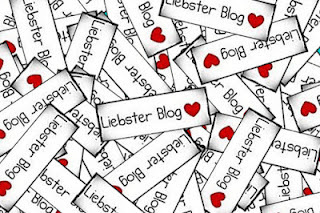 Gatorbunnysews Is Now The Blue Dot Blog! Perfection in the spin...both ways!! Nerd Approved Is Now Part Of Comicbook.com! Ready Set Geek! 026- VR Gaming! I love to sew, skate, and read! I am documenting my sewing adventure including pattern reviews, fabric stashing, and my obsession with Burda magazine. I am also a competitive roller skater who is working to pass her gold medal tests. I like to read, mostly fantasy though I dabble in a bit of everything, and somehow in the middle of all of this I ended up with a PhD in chemistry.